For years my family has enjoyed escaping to Garden Valley. And for years, truth be told, there hasn’t been much there beyond exploring the outdoors via a good old fashioned hike, which is kind of why we like it. As our kids creep ever closer toward tweendom, however, we’ve started getting hints of eye rolls. I can already hear the lament, “Not another hike.” My own eyes roll just thinking about it. Enter Idaho X-Sports Adventure Park. A former snow-tubing hill under new ownership, the park still offers winter fun, for those strange and hearty folk who enjoy being cold. For the rest of us, the park now offers summer activities. 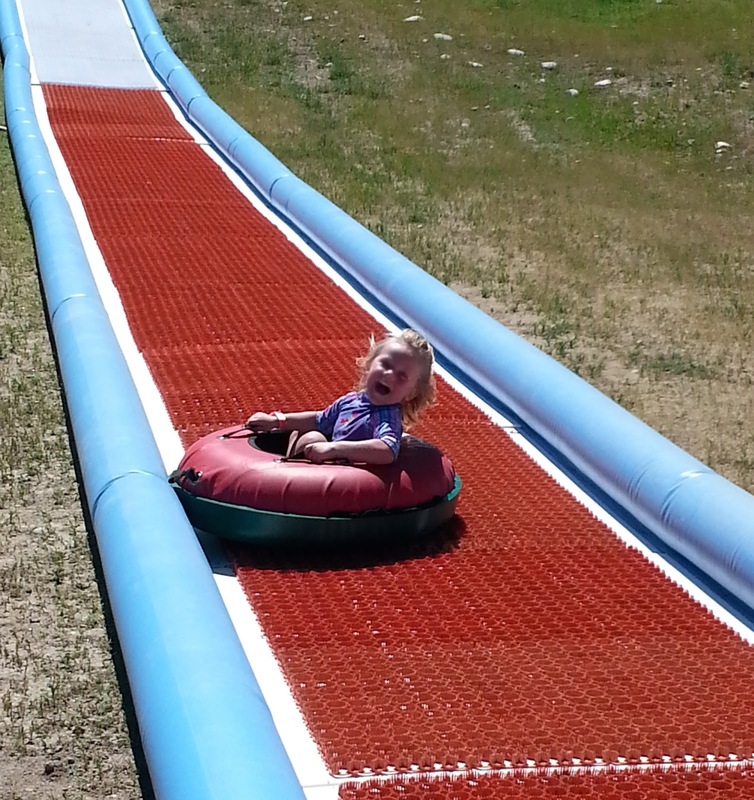 The belle of the ball is the three hundred-foot bumper tubing lane. I can do that, I thought. Going down a slide in an inner tube sounds fun! What I forgot, however, is that I am a monumental wimp. Not a problem in and of itself, but this tubing lane goes fast. I did it once, then spent the next half hour trying to recover with a beer, while my six-year-old did it repeatedly, arriving at the bottom of the lane each time with a belly laugh that turned heads. Photos courtesy of Idaho X-Sports. This is not one of my children and I have no idea why this child isn’t expressing pure terror. The next favorite attraction on the day we visited was the Freedom Jump. This consists of four bungee trampoline stations. You’re hooked into a harness and begin jumping on a trampoline, but the bungees attached to you allow you to jump higher than you could on your own. You can do mid-air somersaults and backflips. I mean, I didn’t, but surely you could. 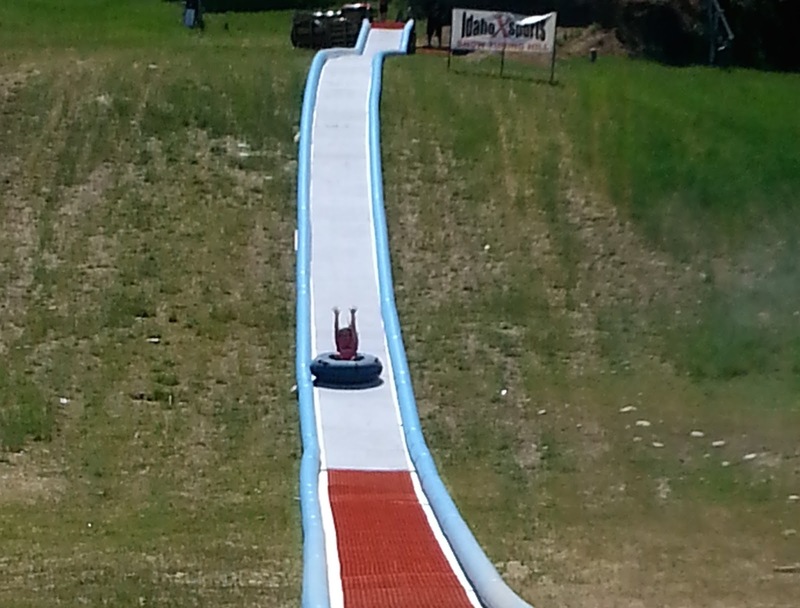 When my six-year-old had tubed down the hill forty-eight times in a row, we convinced her to take a break and try the Freedom Jump. This next picture is her (photo credit to Mike Turner). I think she might have enjoyed herself. As you can see, the view while you’re enjoying yourself at the park isn’t too shabby. They also have a bouncy house, Middlefork River tube rentals, mountain bike rentals (including two fat tire electric mountain bikes), and a mountain bike park nearing completion. If you’re a wimp like me, you can stick closer to the food and drinks (all types of drinks), ladder ball, bocce court, and campfire. 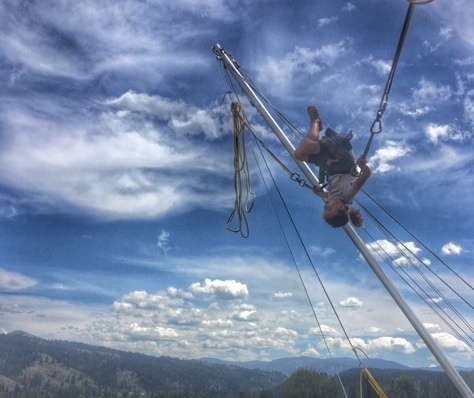 Future park developments include the addition of a zipline and canopy tour. 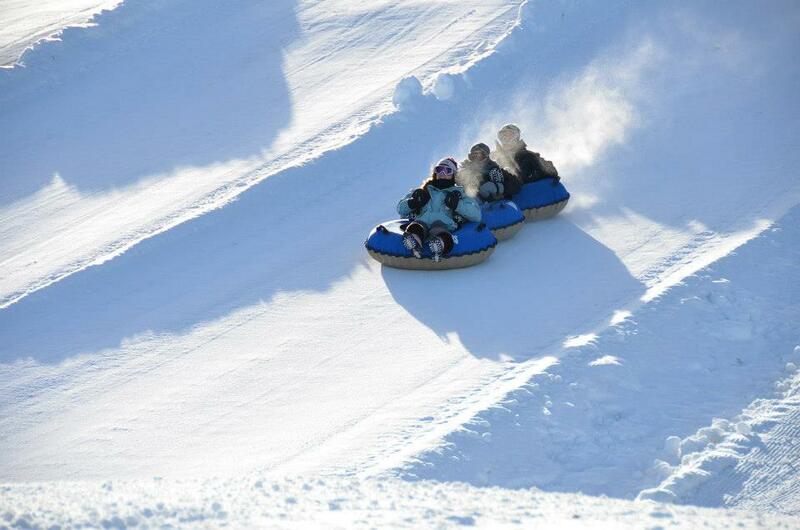 Their winter offerings include snowshoeing, snow tubing, cross country skiing, and snow biking. My only worry for Idaho X-Sports is that they garner the attendance needed to sustain their operations. As I may have mentioned, there isn’t much more going on in Garden Valley, and the new owners will largely be dependent on day-trippers. As it is, with the word not fully out, the park makes an excellent destination. You have all the benefits of the adventure they offer, with little to no crowds with which to contend. As much as we loved having the run of the place, I hope that the next time we visit, Idaho X-Sports is enjoying waves of thrill-seekers. And who knows, maybe by then my six-year-old will talk me into the Freedom Jump.